WINONA, Minn. — With anonymous gifts totaling $6.9 million, two families have chosen to honor Brother William Mann’s legacy as president of Saint Mary’s University by constructing a residence hall in his honor. 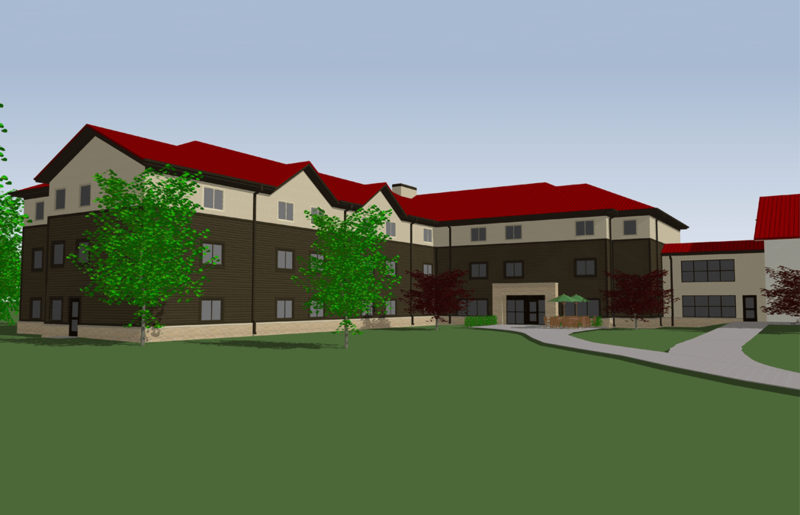 The public is invited at 3:30 p.m. Tuesday, March 13, to watch as ground is broken for Brother William Hall, a 112-bed, three story residence hall for first-year students on the Winona Campus. “With Brother William’s announcement of his departure, these families wanted to recognize all that he has accomplished during his tenure, and they felt that a building in his honor would be a way to have his legacy live on at Saint Mary’s,” said Audrey Kintzi, vice president for Development and Alumni Relations. Brother William announced this past fall that he will conclude his service in May of 2018. The 13th president of Saint Mary’s has provided 10 years of dedicated and inspirational leadership to the university. Brother William Hall will be completed in 2019 and will be located on the northeast corner of campus, attached to Pines Hall.